KABUL: Afghanistan’s president on Monday called on Pakistan to battle the Taliban rather than try to bring them into peace talks, report agencies. Ashraf Ghani made the remarks during an address to parliament a week after a Taliban assault on the Afghan capital, Kabul, killed 64 people and wounded another 340. The attack last Tuesday on a security services office in the heart of Kabul appeared to be the deadliest assault on the Afghan capital since the Islamists were ousted from power in 2001. It cast a pall over international efforts in recent months to jumpstart Pakistan-brokered peace talks, which stalled last summer after the Taliban belatedly confirmed the death of longtime leader Mullah Omar. 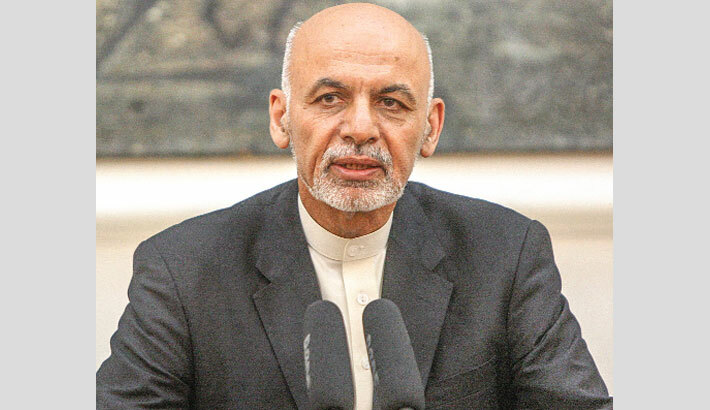 “I want to make it clear that we no longer expect Pakistan to bring the Taliban to the negotiating table,” Ghani said in an address to the Afghan parliament. Afghanistan for years has accused longtime nemesis Pakistan of sponsoring the Taliban insurgency. The Pakistani government recently admitted after years of official denial that the Taliban leadership enjoys safe haven inside the country.